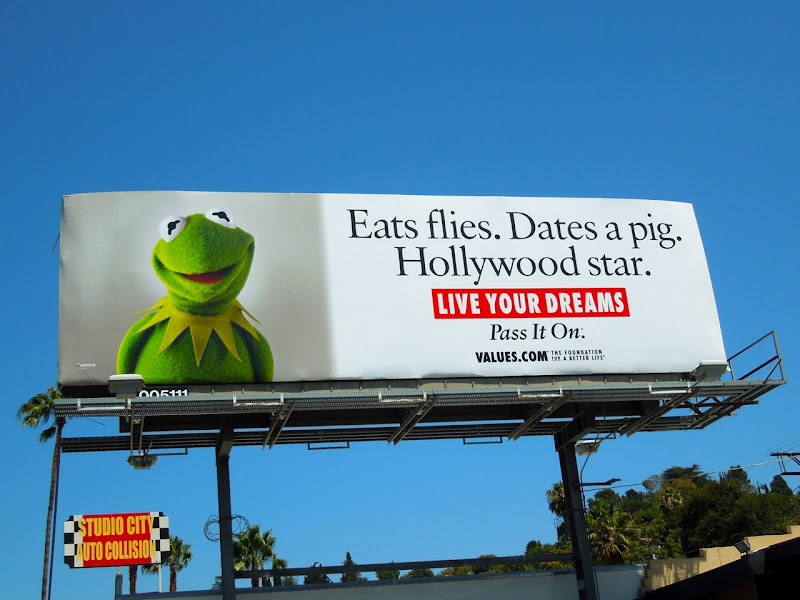 How can you not love that face, and the sentiment of this 'Live your dreams' billboard. 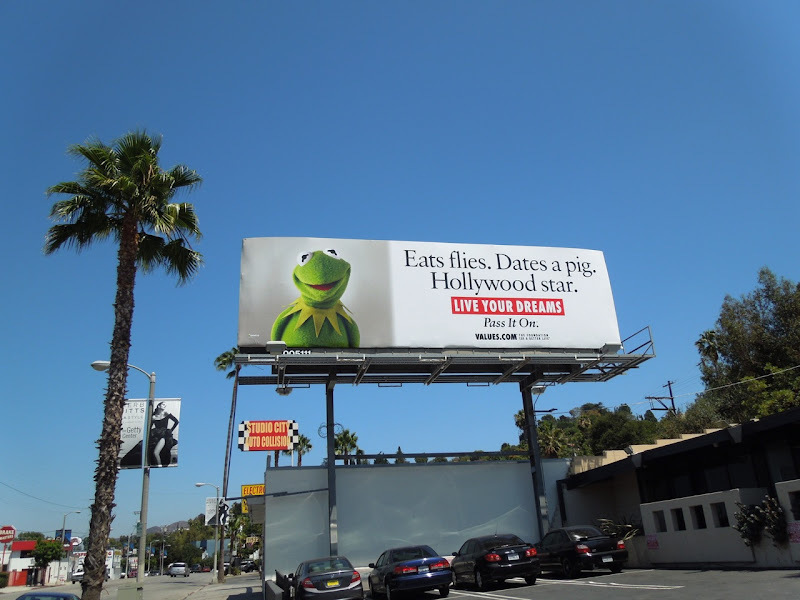 If you're a Muppets fan then you'll get a kick out of seeing Kermit the Frog starring in his own ad, especially when it has such a lovely message. 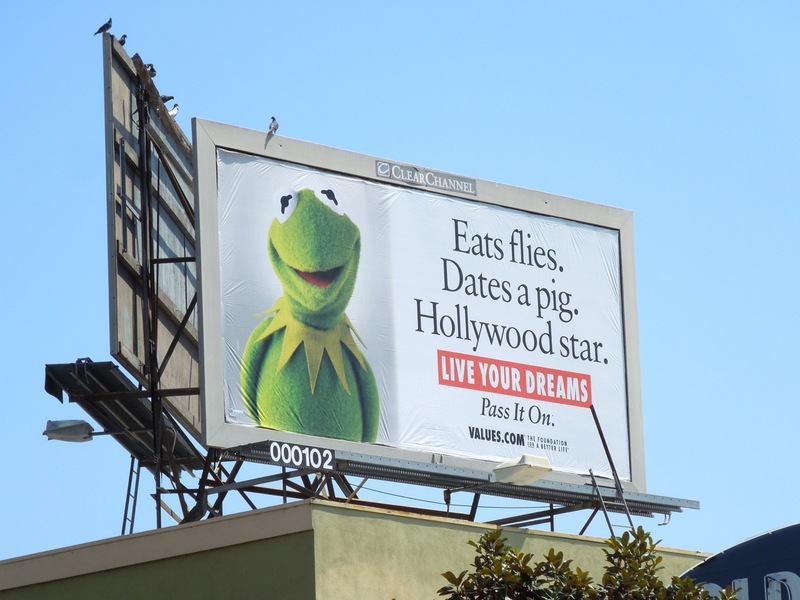 It doesn't matter that he's green, eats flies and dates a pig, he's still a Hollywood superstar and there's a lot you can learn from his example, about following your own dreams, plus showing tolerance and understanding for others who may be different than you. 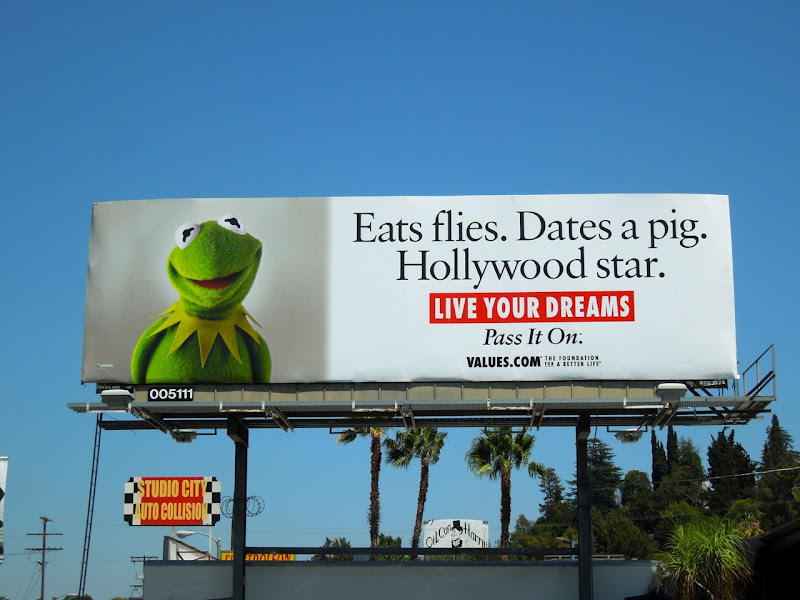 Even though it's been hopping around L.A. for some time now, this Values billboard snapped along Ventura Boulevard in Studio City on July 17, 2012 is still a joy to behold. If you like this, then check out the enigmatic Mona Lisa Smile billboard from the same organisation, plus these other fun billboards for the recent Muppets movie revival. Remember, life's too short, so live your dreams and encourage others to do the same. 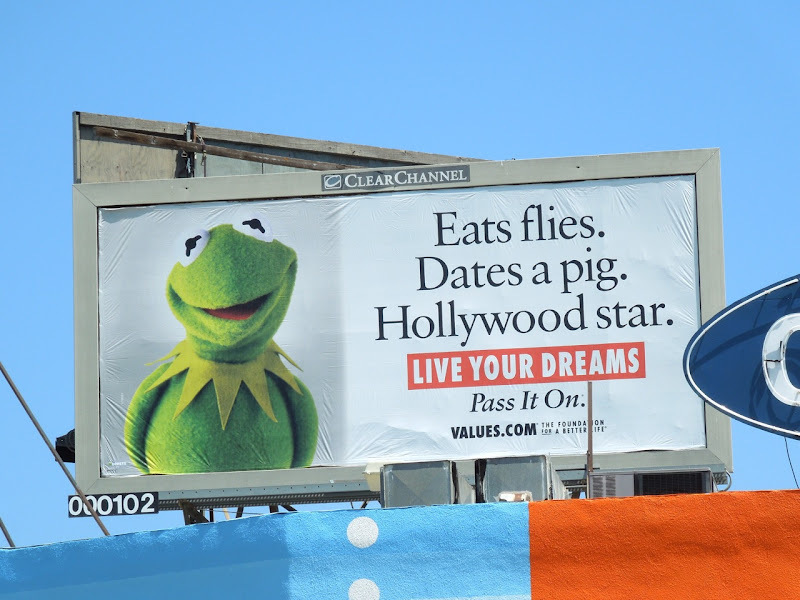 UPDATED: Here's a smaller version of Kermit's billboard above the new Old Navy pop-up store along Beverly Boulevard on August 22, 2012.